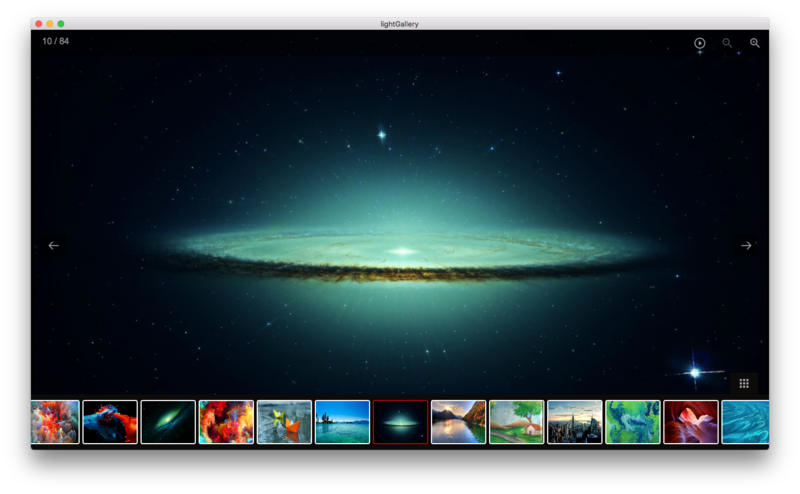 LightGallery comes with numerous number of beautiful in-built animations. You also have the option to enable animated thumbnails from the settings. Support various kind of image formats (jpg, png, gif, webp). app - code of your application goes here. config - place for you to declare environment specific stuff. build - in this folder lands built, runnable application. releases - ready for distribution installers will land here. resources - resources for particular operating system. tasks - build and development environment scripts. It will also download Electron runtime, and install dependencies for second package.json file inside app folder. It will start the packaging process for the operating system you are running this command on. The file which is ready for distribution will be outputted to releases directory. You can create Windows installer only when running on Windows, the same is true for Linux and OSX. So to generate all three installers you need all three operating systems. lightSlider is a lightweight responsive Content slider with carousel thumbnails navigation. Follow me on twitter @sachinchoolur for the latest news, updates about this project.